The Florida 4-H Secretary record book will provide the club secretary with an official outline for tracking all club records. 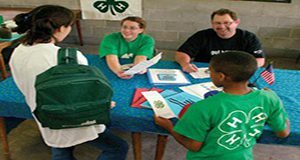 This 30-page book serves as a guide and should be completed annually by the 4-H club secretary. This major revision was written by Sarah Thomas Hensley and Stacey Ellison and published by the UF/IFAS Extension 4-H Youth Development program. This publication should be kept in a safe place known to adult members of your family and/or trusted friend(s). An additional copy should be kept in a safe deposit box. Revise it annually or after any life-changing circumstance to keep vital information current. This can make looking for vital records much faster and easier. 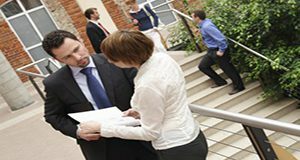 It can also be used as a starting place for estate planning. These checklists provide suggestions on where to keep your important papers and what information to keep. This 14-page fact sheet was written by Brenda C. Williams, Brittany Seamon, and Martie Gillen, and published by the UF Department of Family Youth and Community Sciences, April 2013. Revised! FCS5205, a 4-page fact sheet by Selena Garrison, Michael S. Gutter, Julie England, Josephine Turner, and Nayda Torres, addresses what financial and personal documents individuals should keep and why, how long they should be kept, and where they should be stored. Published by the UF Department of Family Youth and Community Sciences, October 2009.